Had enough of the cold? Why not suggest a family sailing trip over the holidays? Build family memories with Star Clippers’ “Authentic Sailing Adventures” – NEW Kids & Teens Sail FREE. Star Clippers’ open decks and discovery excursions are optimal for ages 7 and up. Ask your WIT travel agent more about Star Clippers’ incredible and unique sailing ships. 503-224-0180 or email info@wittravel.com. Available on select sailings for children between 3 and 17 at time of sailing, when traveling with 1-2 adults. Transfers, port charges and gratuities are additional. 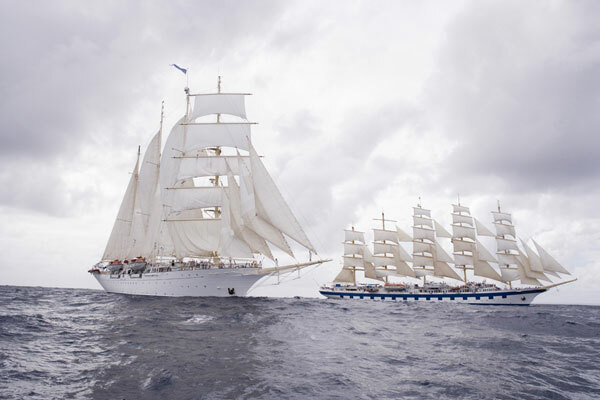 Star Clippers has announced its Fourth Ship of the Line! In 1991, Star Clippers launched its first ship the “Star Flyer,” a recreation of the classic sailing ships of the 19th century. The company decided that the best way to celebrate this silver anniversary would be to give the fleet and their many repeat passengers a brand new sailing ship! Tall Ship Sailing Specialist, Star Clippers is proud to announce the name of their fourth ship, Flying Clipper, to be launched at the end of 2017. Flying Clipper will be the biggest and most ambitious of the Clipper fleet to date, carrying 300 passengers, measuring 8770 tons GRT and powered by 35 sails totaling more than 6.350 square meters. It’s a near-replica of the dramatic France II ordered in 1911 at La Gironde shipyard Bordeaux, which was the largest square rig sailing ship ever built. Flying Clipper will be the world’s largest square rigger and the largest ship of its kind afloat today. Flying Clipper will have three pools, one that funnels sunlight through the ship’s atrium into the elegantly appointed dining room. There will be a water sports platform in the stern for use when the ship is at anchor and a variety of cabin grades, including 34 suites with balconies and four luxurious owner’s suites. A restaurant in the light-filled atrium will accommodate all passengers for open-seating dining and a glass Dive bar for our guests will occupy several compartments of the ship. Guests will be delighted to discover their favorite hallmarks of all Star Clippers ships, such as the cozy library, the bowsprit net and the popular, al fresco Tropical Bar, where evening entertainment takes place. While the ship will have ecologically sound, high-tech engines, it will, like its sisters, rely on wind power and its sails wherever possible. The ships sail in Mediterranean waters in the summer months and relocate to the Caribbean for the winter, with a new route in Asia starting in December 2016, on board Star Clipper. In Summer 2017, Star Clippers will sail into Indonesian waters of the first time, with 19 departures from May 6-Oct 14, 2017, and sailings of 7, 10, 11 and 14 nights from Bali to Singapore and reverse, including Bali round trips. 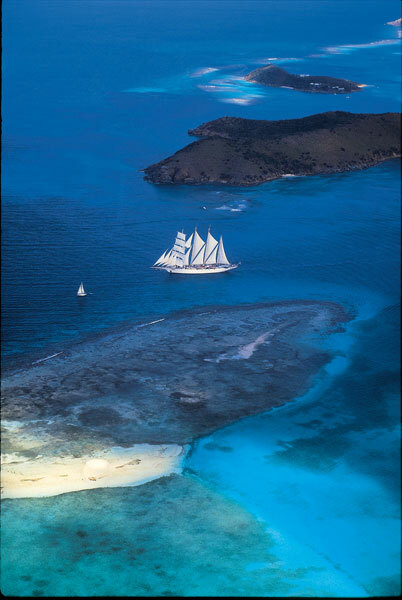 Willamette Intl Travel agent Nancy has sailed with Star Clippers and can recommend them highly. Call her up for a chat at 503-224-0180 or email info@wittravel.com. How about a cruise down the romantic Dalmatian coast this Fall? Few experiences rival embarking a tallship in full sails in the canals of Venice and sailing down the Croatian coast. 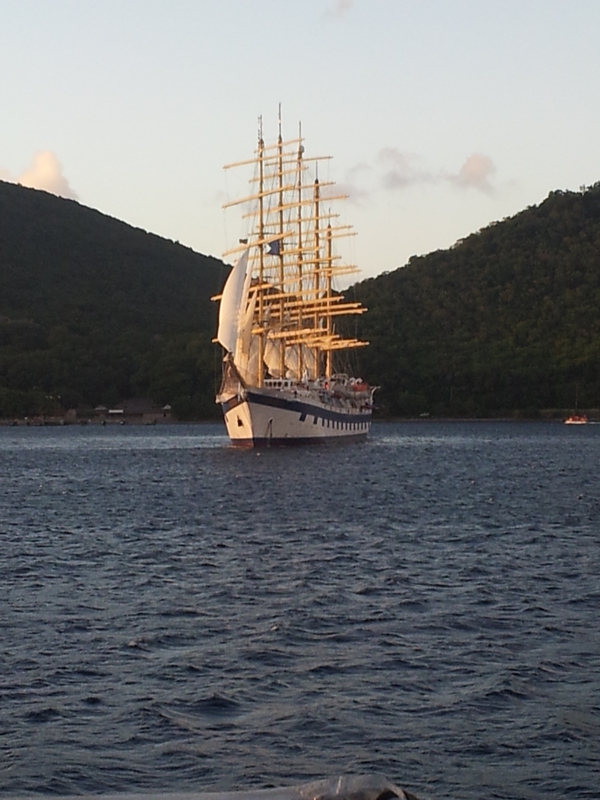 Star Clippers is a luxury ship experience with a casual vibe. In September and October, their 170-passenger flagship Star Clipper sails to colorful and irresistible locales in Croatia and the Greek Isles. The size and nature of the ship allows it to visit ports inaccessible to larger cruise ships. Explore the tiny port of Hvar Island, a favorite getaway for Byzantines and Venetians. Marvel at the architectural jewel that is Dubrovnik. Coast along Montenegro to the unspoiled medieval city of Kotor, and farther south into the colorful harbor of Mykonos. Equipped with 4 masts and 16 sails, the Clipper sails no more than 17 knots through the alluring Adriatic Sea. Onboard facilities include an elegant dining room, library, piano lounge and tropical bar. WIT Agents Nancy and Linda have sailed with Star Clippers, around the Caribbean and Tahiti respectively, and rave about the line. They’d love to tell you more! Drop them a line for some firsthand feedback. Or call our agency at 503-224-0180 for more information. For the very first time Star Clippers is offering a “true” BUY ONE GET ONE FREE promotion on select Summer Mediterranean sailings in 2015!! When you book double occupancy, one person in the cabin will go free! The first person will be booked at our already discounted “SAVINGS RATES,” then the second person in that cabin will go absolutely FREE! It’s as easy at that! Double occupancy cabins start at a total cost of $1,575. Your savings could cover the cost of airfare to Europe. This promotion applies to all cabin categories, so please don’t wait. This promotion is only available for Two More Weeks, so BOOK NOW!! Call your Willamette agent today for details and options. Calling all families, all aboard with Star Clippers! Contact Willamette Intl Travel about these fabulous family-friendly trips! Terms & Conditions. Kids Sail Free offer is available on select sailings only & prices listed include the $250 family flight credit reduction for category 6 cabin when a child is the 2nd person in the same cabin with an adult . The program applies for children between the ages of 2-17 at time of sailing. Two adults traveling with 1 child: Both adults pay the Family rate & the child goes free in one cabin. Two adults traveling with two children: Both adults pay the Family rate & both children go free in two cabins; booked as 1 adult and 1 child in each cabin. The promotion restricts the category booked to the same category or lower. A maximum of $500 applies on the Family Flight Credit. All rates are in US Dollar and valid only for US, Canada, and Latin American residents. Port charges are additional for adults and kids & range from $255pp -$385pp. Single occupancy is not applicable. Space is limited & capacity controlled; rates are subject to change and other restrictions may apply. Hunting a unique destination? Explore the Adriatic Sea, one of Europe’s most alluring waterways. Uncover ancient heritage and breathtaking bays. A variety of cruise options sail from Venice, Dubrovnik, the Dalmatian Coast and into the emerald waters of Greece and Turkey. Crystal Cruises: Crystal is offering 6-day sailings from Corfu to Venice. Explore the Dalmatian coast at leisure, from Dubrovnik and Korcula in Croatia to Koper in Slovenia. This Adriatic getaway sails on the Crystal Serenity and serves 1,070 guests. Royal Caribbean: RCI’s 1,830-guest Splendour of the Seas sails a near-pure 7-night Greek itinerary out of Venice this year, as well as a roundtrip Venice that stops in the archaeological wonder of Kusadasi (Ephesus), Turkey. Go island-hopping in the emerald waters from the Ionians to the Cyclades. Windstar: Prefer a vessel more intimate? Windstar’s small ships 212-guest Star Pride and 310-guest Wind Surf sail July to October between Venice and Athens. In 8-9 days, they sail from magnificent ports such as Athens, Butrint, Hvar and Dubrovnik. The Wind Surf will take you to hidden gems of the Croatian Riviera: Brindisi, Gythion, and Rovinj, memorable days of breathtaking sunsets on teak decks below white sails. The Star Pride sails to secret Greek Isles: Hydra, Corinth Canal, Delphi, as well as the salmon-roofed Montenegrin port of Kotor. Princess Cruises: If you’re looking for a longer itinerary on a larger vessel, Princess may be your best bet: the 12-day Grand Mediterranean sails eastward on the Dalmatian, through Athens and Istanbul, before curving westward to Rome, Livorno, Toulon in France and Barcelona in Spain. This sailing is on the brand-new and sparkling 3,560-guest Regal Princess, due out next month May 2014, and space is filling up quickly! Interested in finding out more about what’s on offer? Call Willamette Intl Travel agents today. Our staff has sailed with all of these lines and would love to find the Adriatic itinerary that’s right for you and your family. Call now: both 2014 and 2015 Europe seasons are open to book. Ask us about Spring Sales; several cruise lines are offering perks such as reduced deposit, no single supplement and last minute discounts. For some awesome photographs of her trip, check out our gallery! 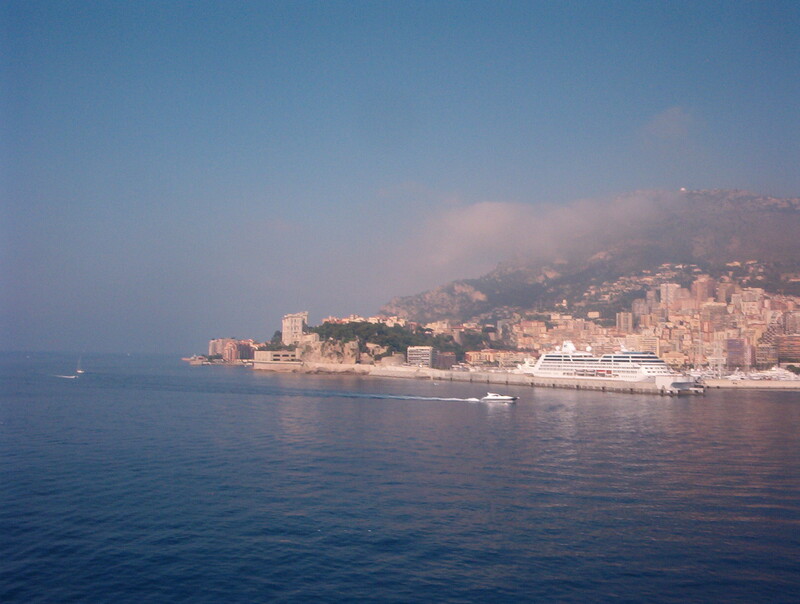 Our agents Linda and Nancy have both sailed with Star Clipper, and would love to share their insider info with you! Call us up at 503-224-0180 or email info@wittravel.com. “Sea” You on the Waves!